The Public Art League is proud to announce the installation of Uppercutted, a sculpture by Ted Sitting Crow Garner, Wednesday, October 23rd. 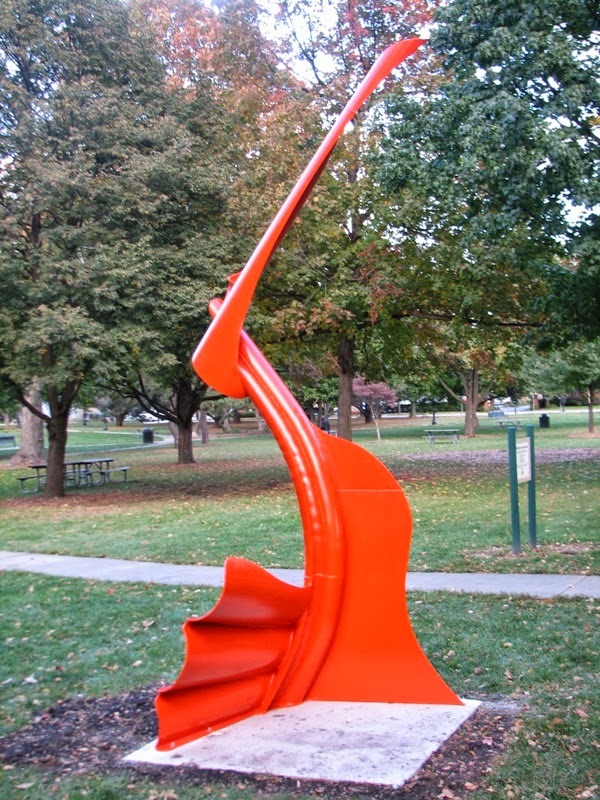 The Public Art League worked with The Champaign Park District to complete the installation on the south side of Westside Park at noon. Uppercutted represents the 37th sculpture Public Art League has brought to the community, and its installation is possible thanks to the generous support of The Champaign Parks Foundation through The Michael Carragher Fund. Sculptor Ted Sitting Crow Garner received his B.F.A. from the Kansas City Art Institute, where he was also responsible for the proposal, development, and construction of a student gallery. His works have earned acclaim from numerous cities and museums from across the country, and he has received major commissions from the City of Chicago, the City of New York Department of Parks and Recreation, the Chicago Children’s Museum, and the Field Museum of Natural History, to name a few. His aim is to make art which combines the power and aesthetics of his Native American heritage (he is an enrolled member of the Standing Rock Sioux Indian Tribe, of Sihasapa and Minneconjou band affiliation) with modern techniques, theory, and materials. He also draws inspiration from world art history, feeling that the incorporation of a broader perspective can result in a more profound examination of the world and our place in it. With Upercutted, Garner wanted to create an evocation of surprise and shock. "Stanchion" Arrives in Hazel Park! The Public Art League is proud to announce the installation of Stanchion, a sculpture by Dan Perry of Waterloo, IA. 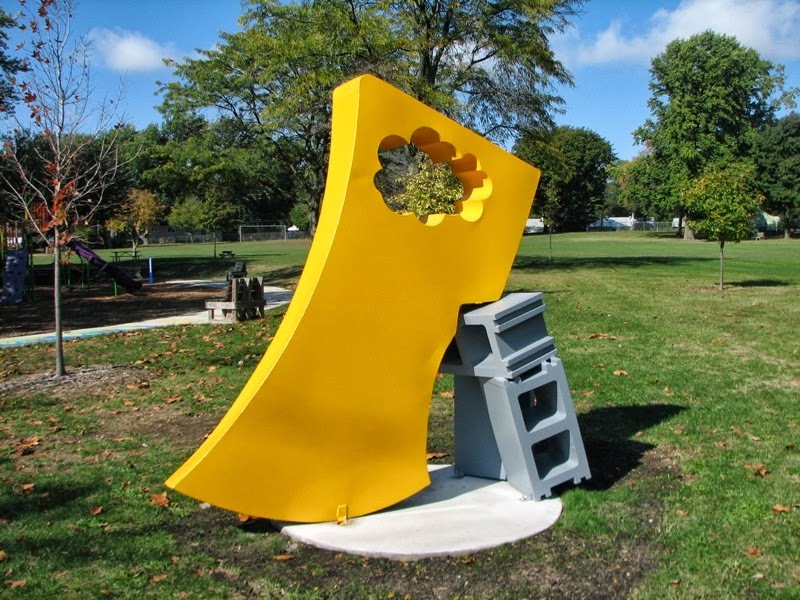 The Public Art League worked with the Champaign Park District to complete the installation at the corner of Neil Street and Bradley Avenue on Friday, October 18. Stanchion represents the 36th sculpture the Public Art League has brought to the community, and its installation is possible thanks to the generous support of Barham Benefit Group. For more information about this installation, please contact David Wilcoxen at 217.898.8263. For more information about joining Public Art League, please visit our website.